I stepped out of my comfort zone for this next novel as it's non-fiction. Of course it centered around my favorite period of history (World War II) so I was willing to take a leap of faith. I must admit the first several chapters were a little slow, however, as the book continued, I became more and more involved in the story. Something that is not commonly known is that Hitler was fascinated with art. A majority of his strategy focused on the pillage of Europe's cultural objects. He sanctioned his men to take artwork, sculpture and other things of cultural worth. Not to mention the disgusting amounts of personal items he stole from the Jews. In response, the United States formed an Army unit (the Monument's Men) to seek, and find, the millions of missing objects that were stolen. Repositories of artwork were found all throughout Europe. Incredibly, there are still items missing. Hitler's dream was to create the greatest museum in the world. Even after he knew he was defeated he wrote in his will that he would like the museum in Linz to be created with all the objects the Nazi's stole. 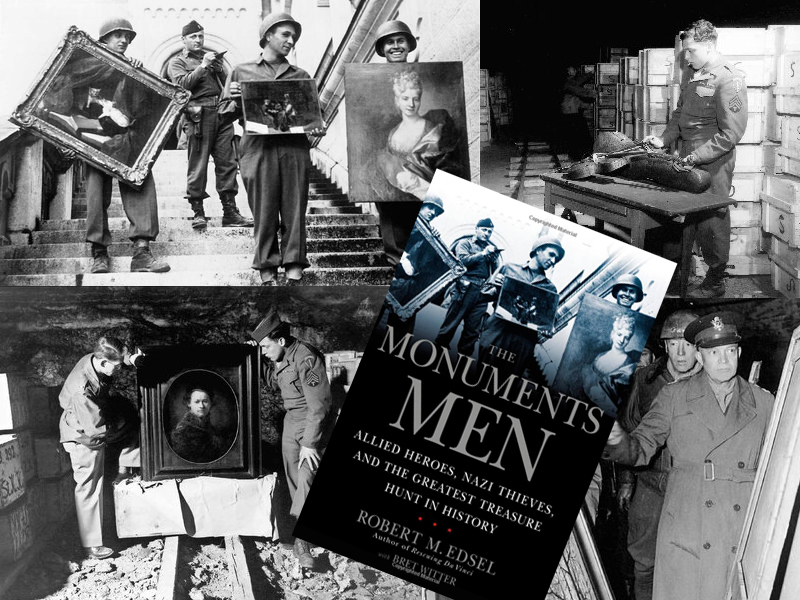 If you haven't read The Monument's Men you really need to. It's about a part of history, often neglected, that everyone should know about.